Your business in Philadelphia is excellent at its core mission, but you need more than that. You must also do taxes, hire employees, and fill out tons of government paperwork, taking valuable time away from doing what you love. With PEO providers, you can change the way you do business. Leave some of those mundane tasks up to PEO consulting firms that specialize in them. Call us today and see what kind of PEO services we can provide, then get back to doing what you do better than anyone else. A PEO can handle a lot for your business, from finding the best solution for employee benefits to taking responsibility of payroll functions. Starting a business, or running a small business, may be difficult, but there are ways to make it easier for you. Allowing a Professional Employer Organization to assist your business can help make operations run smoothly, allowing you more time to focus on what truly matters. One service that a PEO can provide that could make a huge impact on your business is outsourcing human resource tasks. While you may already have a productive in-house HR department, the HR tasks are becoming more and more advanced and complex as the years go by. If you have noticed your HR department beginning to struggle with some of their tasks, you may want to consider outsourcing one of a variety of HR functions. At Rittenhouse Benefits LLC, we can help you set up the HR outsourcing you need to get your business back on track and growing. But what are the benefits to outsourcing your HR functions? In this blog, we will go over some of the main benefits. Believe it or not, outsourcing HR tasks can actually save you money. As your company grows and requires new hires in human resources, or even the addition of a new department, you can spend more money than planned. If you have to relocate in order to add a larger HR department, you will spend more money than you would using HR outsourcing. Even hiring a new person to help with HR functions could end up costing you more than you would expect. 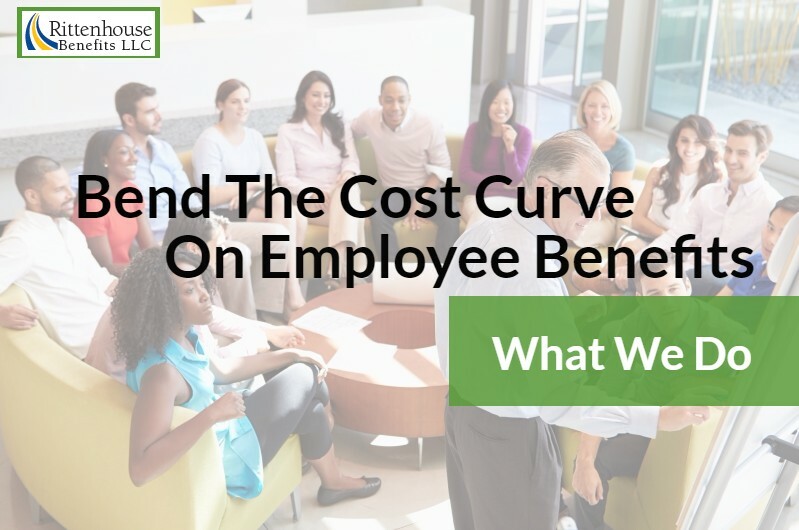 If your business is growing rapidly and your HR department is becoming overwhelmed, save money rather than hiring new human resource employees. Outsourcing some of your HR tasks, and allowing your current HR to stress less about keeping up on tasks, can help save you money and help your business run smoothly. You don’t have to worry about costs of extra equipment that your HR department may require. You will have the ability to send tasks to the HR outsourcing firm that would otherwise cost you money to help your HR department complete. This is a simple way to save your company money and allow you to not have to move locations, add equipment, or hire more HR employees until absolutely necessary. HR outsourcing can help reduce the risks your business may face. Outsourcing firms stay up-to-date on new laws and regulations surrounding employment and the workplace. 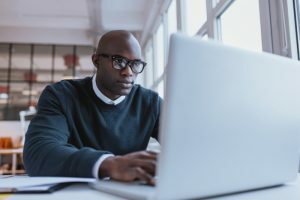 As a business owner you have enough to worry about, constantly changing laws shouldn’t be one of them, but it is important to stay on top of these issues. The HR professionals from an outsourced firm stay updated on these new laws and regulations and can help ensure that you are not going against these laws without knowing. They can help you stay compliant with these new laws, keeping you out of trouble and free of risk. HR outsourcing employees also help to maintain your business’s policies and practices. Losing employees can be rough on a business, especially when it is a small business. When an employee leaves your business and the need to hire a new one arises, HR can become overwhelmed and held up. HR operations should never slow down or halt due to employee turnover, which is where outsourcing can help. They can ensure that HR functions continue to run smoothly even after a turnover. Your business should not suffer during a turnover and will hopefully run as if nothing had changed. You want to ensure that your business operations do not suffer due to the loss of an employee, and HR outsourcing can help with that, running the important parts of your business and keeping everything on track. As your company grows, you are sure to develop, add functions, and change operations. To ensure all of your employees are on the same page, training must take place to teach them the new ways of the company. HR outsourcing professionals can help. They can help train your employees and focus on basic tasks, allowing your company to adjust to the new functions. Thanks to HR outsourcing helping with these tasks and assisting in your businesses development, you are able to keep developing. Having someone on your side while you attempt to grow your business can help make the entire process easier and can give you confidence in taking on that challenge. Evolving and growing your business is your goal, and HR outsourcing can help make that happen. HR outsourcing firms not only stay up-to-date with new laws and regulations, but they also keep up on the newest technologies and business practices. This allows them to help keep your company updated on different business procedures as they change. If your business relies heavily on technology, you won’t want progress to be slowed everytime there is a new software or system update. The professionals from an outsourced HR firm can help make sure you and your employees get the knowledge and understanding they need to continue making progress for your business. Running a business can be difficult, and dealing with the day to day problems can get overwhelming on top of everything else. Allowing yourself to focus on what really matter to your business by hiring an HR outsourcing firm, you can help your business run smoothly and continue to progress. Don’t worry about ensuring that your HR department is keeping up with their tasks. Don’t stress over problems with turnovers. And help your employees keep working towards a common goal. HR outsourcing helps you in many different ways. When it comes to HR outsourcing, you can choose which tasks they are given and which will remain with your business’s own HR department. Many times you may only need HR outsourcing professionals for a few tasks, but when your HR department begins to get overwhelmed it is nice to know that you have professional and trustworthy backup. If your small business is growing and becoming more difficult to handle, it may be time to consider HR outsourcing. You will be able to save time, money, and potential business problems, all while focusing on growing and developing your business. If this sounds like something you need, contact Rittenhouse Benefits LLC today. We can help set you up with HR outsourcing and a PEO if desired. Feel free to contact us with any questions you may have.